Frank Capra (May 18, 1897 – September 3, 1991) was an Academy Award winning Italian-American film director and the creative force behind a string of popular films in the 1930s and 40s. He is most remembered for his heart-warming movies where average men overcome great injustices, such as 1939's Mr. Smith Goes to Washington and 1946's It's a Wonderful Life. Capra films usually carry a message about the basic goodness of human nature, showing the value of unselfishness and hard work. His wholesome, feel-good themes have led his works to be called "Capra-corn" by critics, but his films are hailed by others as a major artistic expression of American values. Capra's personal life mirrored the course he often depicted in his films, as he rose from poverty, struggled against the odds as an unknown talent in Hollywood, and finally ascended to the pinnacle of success. He won three Academy Awards for best director and a Golden Globe Award for his work on It's a Wonderful Life, which is considered by many to be a classic of American filmmaking. Born Francesco Rosario Capra on May 18, 1897, to Salvatore and Rosaria Nicolosi Capra in Bisacquino, Sicily, Capra moved with his family to Los Angeles in 1903 where his older brother Benjamin was already living. Here, he began his schooling at Casteler Elementary school and later at Los Angeles' Manual Arts High School. Capra earned money through a number of menial jobs, including selling newspapers, working as a janitor, and playing in a two-man music combo at local brothels for a dollar a night. His real passion, though, was pursued during school hours as a participant in the theater program, doing back-stage work such as lighting. Capra's family would have preferred that Frank drop out of school and go to work, but he was determined to get an education as part of his plan to fulfill the American Dream. He graduated from high school in 1915 and later that same year entered the Throop College of Technology (later called the California School of Technology) to study chemical engineering. It was here that he discovered the poetry and essays of Montaigne through the school's fine arts department, developing a taste for language that would soon inspire him to try his hand at writing. Despite the death of his father that year, Capra had the highest grades in his school and was awarded a $250 scholarship in addition to a six-week trip across the U.S. and Canada. On April 6, 1917, after Congress declared war on Germany, Capra tried to enlist in the Army but was denied entrance as he had not yet become a naturalized citizen. Instead, he served in the Coastal Artillery, working as a supply officer for the student soldiers at Throop. On September 15, 1918, he graduated from Throop and one month later was inducted into the army. He was one of tens of millions of people worldwide that year to become ill with the Spanish Influenza. By November the war had ended, and in December, Capra was discharged so that he could recover from his illness. While recuperating, Frank responded to a casting call for extras for director John Ford's film The Outcasts of Poker Flat (1919). He was given a part as a background laborer, and used this opportunity on set to introduce himself to the film's star, Harry Carey, whom Capra would later go on to cast in Mr. Smith Goes to Washington, two decades later. In his post-collegiate/war years, Capra worked a variety of odd jobs, including errand boy, ditch digger, live-in tutor, and orange tree pruner. He also continued to pursue jobs as extras for major pictures, and even got some work as a prop buyer for an independent studio. Capra wrote short stories during this time, but was unable to get them published. By this point, the future director was consumed with dreams of show business. In August of 1919, Capra, along with former actor W.M. Plank and financial backer Ida May Heitmann, incorporated the Tri-State Motion Picture Co. in Nevada. The outfit produced three short films in 1920, "Don't Change Your Husband," "The Pulse of Life," and "The Scar of Love," all directed by Plank. The films flopped and Capra moved back to L.A. when "Tri-State" broke up, earning a job at CBC Film Sales Co., where he worked as an editor and director on a series called "Screen Snapshots." The job was unsatisfying and five months later, in August, 1920 he moved to San Francisco where he worked as a door-to-door salesman and learned to ride the rails with a hobo named Frank Dwyer. Capra wrote for the popular "Our Gang" series in the mid 1920s. The next year, San Francisco-based producer Walter Montague hired Capra for $75 per week to help direct the short film, "Fulta Fisher's Boarding House," which was based on a Rudyard Kipling poem. The film made a small profit, and Montague began to develop a vision for producing more films based on poems. Capra quit working for the producer, however, when Montague announced that the next film would be based on one of his own poems. Capra's next job, in 1921, was as an assistant at Walter Ball's film lab and for the Paul Gerson Picture Corp., where he helped make comedies as an editor. Here, Frank began dating the actress Helen Edith Howe, eventually marrying her on November 25, 1923. The couple soon moved to Hollywood, where producer Hal Roach hired Capra in January 1924, as a gag-writer for the comedy series "Our Gang." However, after seven weeks and five episodes, Frank quit when Roach refused to make him the director. Capra then went to work for Mack Sennett as one of six writers for silent movie comedian Harry Langdon. Eventually, Langdon outgrew Sennet's team and left the group in September 1925. Capra continued to work with Sennet for a short while, but was sacked and subsequently hired by Langdon, working on the first of his successful features, Tramp, Tramp, Tramp (1924). For Langdon's next picture, The Strong Man, Capra was promoted to director, earning a salary of $750/week. Around this time, Capra's marriage to Helen began to unravel, after it was discovered that she had a life-threatening ectopic pregnancy that had to be terminated. Capra became a workaholic and Helen turned to alcohol. The deterioration of his marriage paralleled the demise of his relationship with Langdon during the making of Long Pants (1927). In April of 1927, Frank and his wife separated, and Capra took the opportunity to move to New York in order to direct For the Love of Mike (1927) for the First National production company. Capra and the film's star, Claudette Colbert did not get along, however, and to make matters worse, production went over-budget resulting in First National's refusal to pay Capra. Capra hitchhiked back to Hollywood and by September of 1927 he was working as a writer again for Mack Sennett before receiving a directing job from Columbia Pictures' president Harry Cohn. His first film there was That Certain Thing, which met with Cohn's strong approval, and Cohn doubled Capra's salary to $3,000 per picture. Capra's next several features were all successful, including 1928's Submarine. He then directed the high-budget The Younger Generation in 1929, which would be his first sound film. In the summer of that year, Capra was introduced to the widow, Lucille Warner Reyburn, who would become his second wife, a marriage that would last until her death in 1984. That same year Capra also met the former stage actress Barbara Stanwyck and cast her for his next film, Ladies of Leisure (1930). Stanwyck and Capra made a good team, and it was with her that he began to develop his mature directorial style. Knowing that her first scene was usually her best, Capra started blocking out scenes in advance. The crew also had to boost its level of craftsmanship and spontaneity as a result. After Ladies of Leisure Capra was assigned to direct Platinum Blond(1931) starring Jean Harlow. The film's character Stew Smith provided the type for the prototypical "Capra" hero. Harry Cohn gradually placed more and more material under Capra's control, including the left-over scripts and actors from some of the more major production companies, such as Warner Brothers and MGM. Starting in 1932, with American Madness, Capra shifted from his pattern of making movies dealing with "escapist" plot-lines to creating films based more in reality, reflecting the social conditions of the day. It was also with Madness that Capra made a bold move against the cinematic "grammar" of his day, quickening the pace of the plot by removing many of the actors' entrances and exits in scenes, as well as by overlapping the actors' dialog, and eliminating the slow dissolves in scene transitions. This created a sense of urgency which better held the attention of the audience. Except for "mood pieces," Capra began to use this technique on all his future films and was heralded by directors for the "naturalness" of his directing. By the release of his film, Lady for a Day (1933), Capra had established not only his technique as a director but his voice (themes and style) as well. This style would later be dubbed by critics as "Capra-corn" for its sentimental, feel-good nature. Lady for a Day would be the first film by either Capra or Columbia to attract the attention of the Academy of Motion Picture Arts & Sciences, earning the picture four nominations, including Best Picture, Best Director, Best Writing for an Adaptation (Robert Riskin), and Best Actress (May Robson). Though the nominations were a welcome honor for the young director, the actual night of the awards ceremony (March 16, 1934) would go down as one of Capra's most humiliating experiences. Capra, with high hopes of winning an Oscar, had his mind set on nothing else. When host Will Rogers opened the envelope for Best Director, he commented, "Well, well, well. What do you know. I've watched this young man for a long time. Saw him come up from the bottom, and I mean the bottom. It couldn't have happened to a nicer guy. Come on up and get it, Frank!" Capra sprang from his chair and squeezed past tables to make his way out to the open dance floor to accept his award. In his own words: "The spotlight searched around trying to find me. 'Over here!' I waved. Then it suddenly swept away from me—and picked up a flustered man standing on the other side of the dance floor—Frank Lloyd!" The next year would redeem Capra when he received the Best Director trophy for his romantic comedy It Happened One Night (1934). The following year, Capra was asked to become president of the Motion Picture Academy itself, a position he would serve well, as many have given him the credit of saving the institution from demise during his four-year term. There had been a mass boycott of the Academy undertaken by actors, writers, and directors in 1933, as part of the newly formed unions that would become the Screen Actors Guild, Screen Writer's Guild, and Screen Directors Guild. Capra was responsible for smoothing over the strife by deciding that the formerly anti-union Academy should stay out of labor relations. His other significant modifications to the program were: Democratizing the nomination process in order to eliminate studio politics, opening the cinematography and interior decoration awards to films made outside the U.S., and creating two new acting awards for supporting performances. By the 1937 awards ceremony, the Screen Actors Guild announced that it had no objection to its members attending. To add icing to the cake, that night Capra won his second Oscar for directing Mr. Deeds Goes to Town (1936), which also won the Best Picture award. 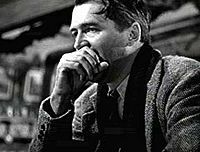 James Stewart, praying, in the role of George Bailey in "It's a Wonderful Life." In 1939, Capra was voted president of the Screen Director's Guild and began negotiating with new Academy president Joseph Schneck for the industry to recognize the SDG as the sole collective bargaining agent for directors. Schneck refused and Capra threatened a strike as well as to resign from the Academy personally. Schneck gave in, and one week later, at the Oscar awards ceremony, Capra won his third Best Director title for You Can't Take it With You (1938), which also took home Best Picture. In 1940, Capra's term as President of the Academy would end. In this period, between 1934 to 1941, Capra created the core of his canon with the timeless hits, It Happened One Night, Mr Deeds Goes to Town (1936), You Can't Take it With You (1938), Mr. Smith Goes to Washington (1939), and Meet John Doe (1941), winning three Best Director Oscars in the process. Some historians call Capra the great American propagandist, as he had been so effective in creating an indelible impression of America in the 1930s. "Maybe there never was an America in the thirties," John Cassavetes was quoted as saying. "Maybe it was all Frank Capra." 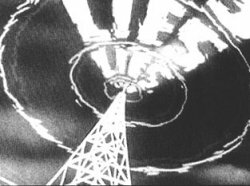 Capra's "Prelude to War" exposed the "Big Lie" tactics of the Nazi propaganda machine. When the United States went to war again in December of 1941, Frank Capra rejoined the Army as an official propagandist, creating a highly popular series called, Why We Fight. Capra would regard these films as his most important work, see them as his way to counter German filmmaker Leni Riefenstahl's films, in particular, Triumph of the Will. Prelude to War won the 1942 Academy Award for a Documentary Feature. When the war ended, he founded Liberty Films with John Ford and ultimately made his last classic there, It's a Wonderful Life, in 1946. Despite its failure at the box office, the film was nominated for five academy awards including Frank's sixth nomination for Best Director. Capra did not win the Oscar for It's a Wonderful Life, but he did win the Golden Globe Award for it in 1947. The film went on to become a Christmas classic that remains highly popular during the holiday season today. After a relatively poor record over the following three years, Capra took an eight-year hiatus from feature films. During this time, he created a memorable series of semi-comic science documentaries for television that became required viewing for school children in the 1960's. These included "Our Mr. Sun" (1956), "Hemo the Magnificent" (1957), "The Strange Case of the Cosmic Rays" (1957), and "The Unchained Goddess" (1958). Capra's final theatrical film was 1961's Pocketful of Miracles, with Glenn Ford and Bette Davis. The film was a minor success, with a decent box office draw and three Academy Award nominations for Best Actor in a Supporting Role (Peter Falk), Best Costume Design, and Best Original Song. Capra remained quiet for the most part in his retirement years, until his autobiography, The Name Above the Title, was published in 1971. He was also the subject of a 1991 biography by Joseph McBride entitled, Frank Capra: The Catastrophe of Success, in which many of the impressions left by Capra's biography were challenged. Frank Capra died in La Quinta, California of a heart attack in his sleep, in 1991, at the age of 94. He was interred in the Coachella Valley Cemetery in Coachella, California. He left part of his 1,100-acre ranch in Fallbrook, California to Caltech University and its YMCA, of which he was a lifelong supporter. Capra's It's a Wonderful Life has become one of the most celebrated Christmas classics, broadcast on network television each holiday season. It was named by the American Film Institute as one of the most inspirational American films ever made. The film also placed eleventh on AFI's list of the top American films of all time. Capra won the Academy Award for Best Director three times: It Happened One Night (1934), Mr. Deeds Goes to Town (1936), and You Can't Take It with You (1938). He also won the Golden Globe Award for Best Director for It's a Wonderful Life in 1947. His son Frank Capra, Jr.—one of the three children born to Capra's second wife, Lou Capra—is president of Screen Gems, in Wilmington, North Carolina. Capra's grandson, Frank Capra III, has worked as an assistant director for a number of films and TV movies. Gewen, Barry. "It Wasn't Such a Wonderful Life." The New York Times. May 3, 1992. Frank Capra at the Internet Movie Database. www.imdb.com. Frank Capra at the TCM Movie Database. tcmdb.com.